This package is for businesses that want to incorporate a subsidiary company. 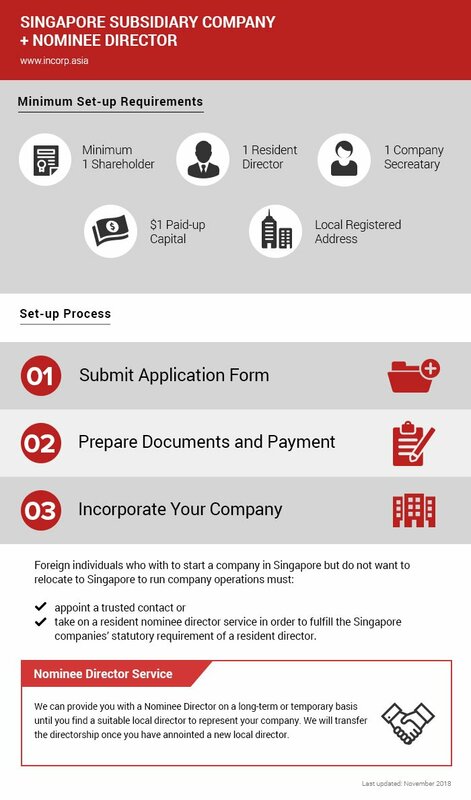 If you have no plans to migrate to Singapore and would like to run your company operations from overseas, you need to appoint a resident director (in accordance with the Singapore Company Act). Fast and reliable subsidiary company formation services. Let us help you form a Singapore subsidiary company quickly and provide specially tailored advice to meet your business’s every requirement.